The 3rd Annual Merry Mercy Christmas Benefit to support the work of Mercy Ministries of America was a huge success! Last night, 400 guests filled the ballroom at the Loews Vanderbilt Hotel in downtown Nashville to celebrate and support the mission of Mercy Ministries with a dinner and auction. Emceed by Nashville’s Channel 5 News Meteorologist, Charlee Neese, and featuring the incredible musical talent of Jars of Clay, Tammy Trent, and Tommy Sims, the evening was definitely one to remember! Support from our patrons and from the community was overwhelming as items were donated for the silent and live auctions, from beautiful original artwork to a paradise vacation in the British West Indies, a wide array of gifts set the stage for an exciting time of bidding. Between the contributions of our table sponsors, proceeds from auction items and other charitable gifts, over $150,000 was raised!! Attendees also had the chance to hear powerful and touching testimonies from two graduates of Mercy Ministries and Founder and President, Nancy Alcorn, shared her heart for the countless young women who need to know there is a God who loves them unconditionally and that freedom from life-controlling issues is absolutely possible. A very special thanks to all our benefit committee members, table hosts and event sponsors. Huge thanks to Marie and Bob Parks for serving as the Co-Chairs for the Merry Mercy Benefit and to Juli Fisher for serving as the Honorary Chair. Your generosity is making a difference for many hurting young women. 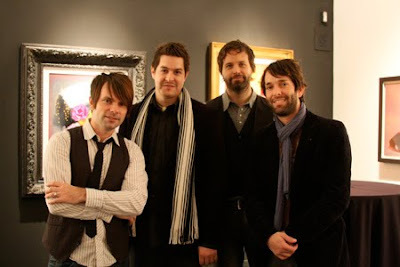 Mercy Ministries would also like to thank Jars of Clay, Tammy Trent, Tommy Sims and his all-star band for providing the unbeatable entertainment for this event and to our many volunteers and staff, your hard work is irreplaceable. 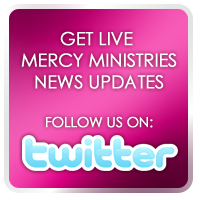 The waiting list for Mercy Ministries is on an upward climb and this growth in need must go hand in hand with growth in support. Thank you for to all our amazing supporters for recognizing the value of the young women we serve and the transformation that is awaiting them. You’re support has eternal significance. A Christmas They Will Never Forget! Dianne Wilson Impacts California Residents! Life-Changing Weekend for Sacramento Residents!